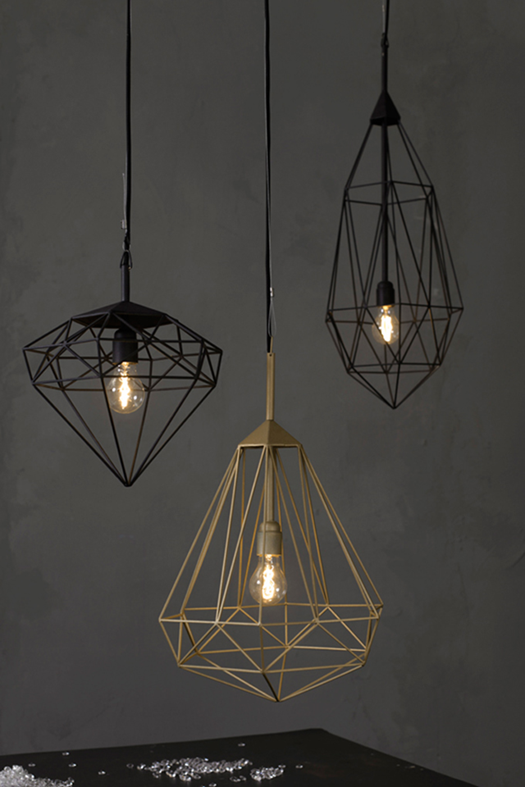 I discovered these gorgeous pendant lights a couple of months ago over on Nordic Leaves. Beautifully crafted by Dutch furniture and interior design brand JSPR, Diamonds have a geometric design that is industrial yet elegant. Made from steel they come in gold or black. 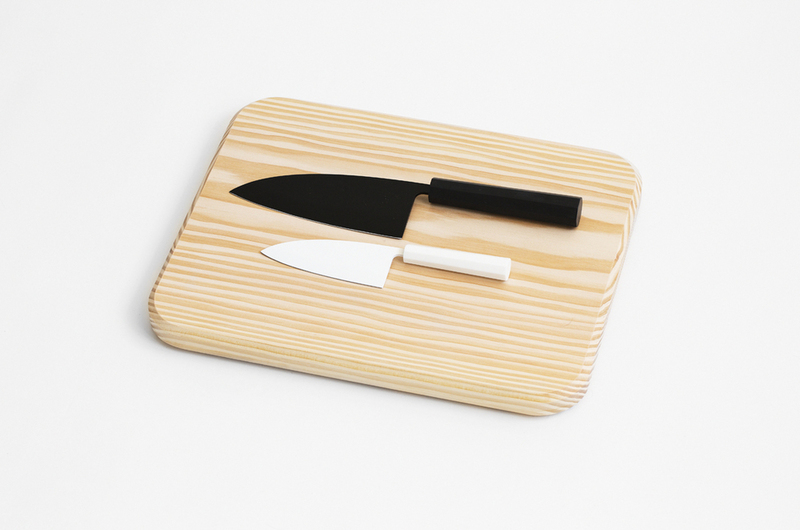 I can't resist a black, white and wood combo, so when I came across this styling shot for the Silhouette Knife by Norwegian Petter Skogstad, I liked what I saw. Made for an independent exhibition in Tokyo called Food Work, (which I recently read a great post about here) Silhouette is a modern take on deba bōchō, a traditional Japanese knife which literally means "pointed carving knife". 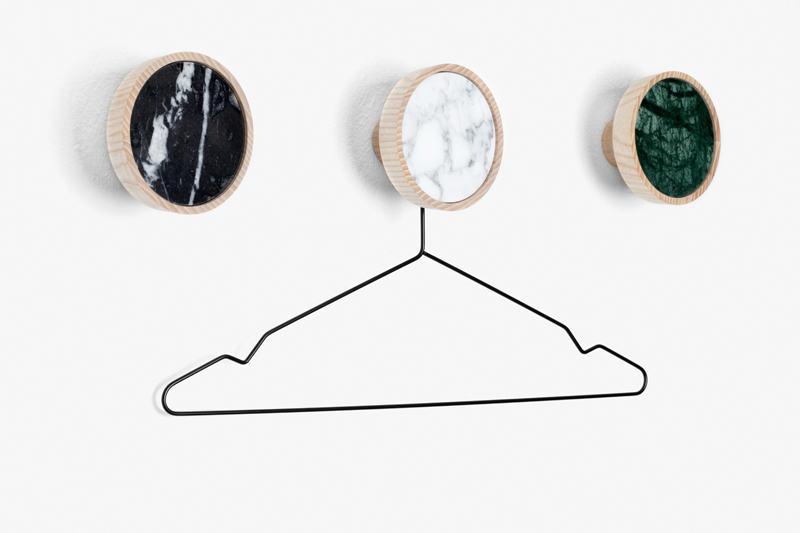 This little gem is the the Charles Coat Hook by Swiss designer Nikolas Kerl. 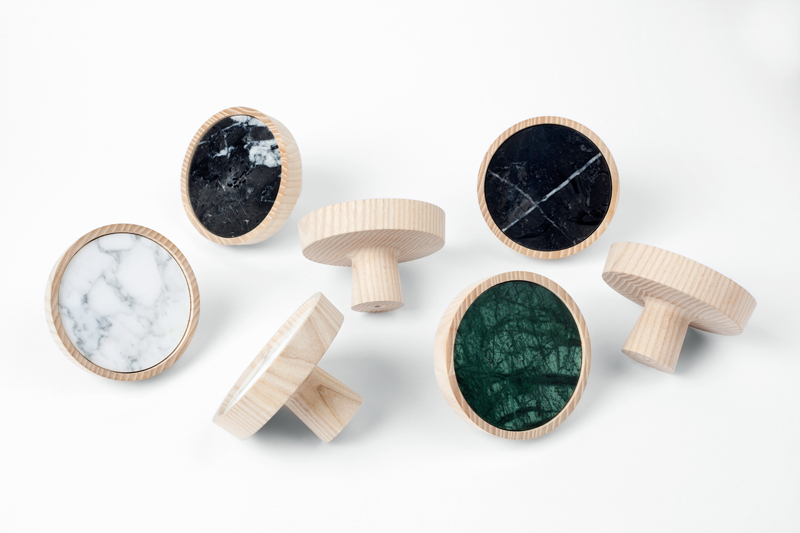 Made from an irresistible combination of unfinished ash wood and polished marble, it comes in three varieties, with the grain of the marble making each hook one of a kind. Nike are my go-to when it comes to running shoes and like many, I've been embracing the neon versions of late. Judging by this recent model, the Womens Free Advantage Sneaker, it would seem that Nike is taking a turn towards a more pared-back minimalist look and I have to say I'm liking the change. 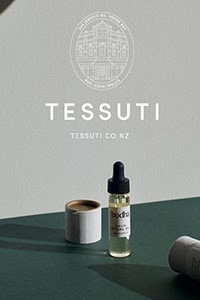 Exclusive to Wellington store Good as Gold, you can purchase online, and request to be notified when they get more in, as some sizes are already sold out. Designed to "help female athlete's perform better during workouts" check out the shoe's superior features here. 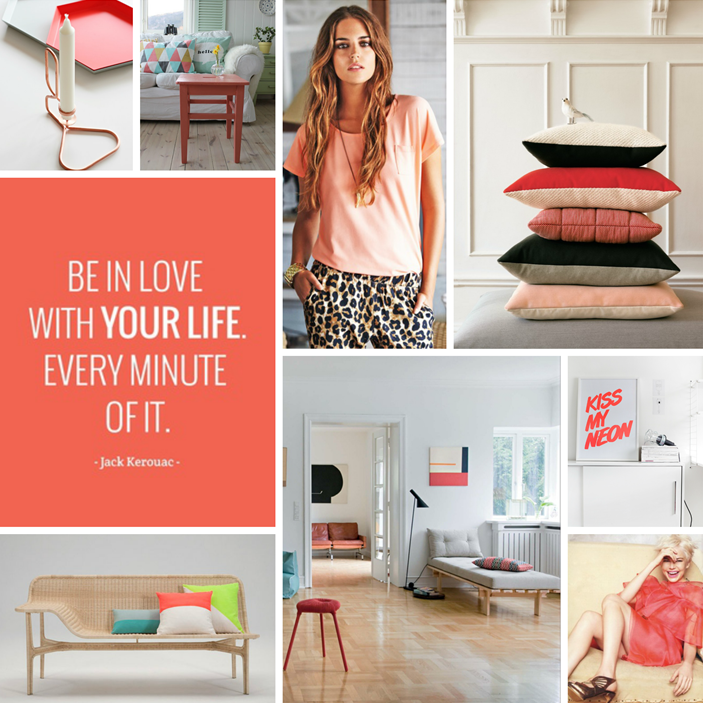 To finish off, I've included my recent moodboards, all created using images from my Pinterest boards. I'm not sure what the Queen would think of this moodboard, but I was inspired by the beautiful and uplifting quote by American novelist Jack Kerouac over the recent Queen's Birthday long weekend. Featuring zingy neons, Scandi style interiors, and a little bit of leopard print thrown in for fun. Social media plays a big part in world of blogging and reaching 4000 likes on Facebook recently gave me reason to smile and to reflect on the journey so far. Of course it was also a great excuse for a moodboard! 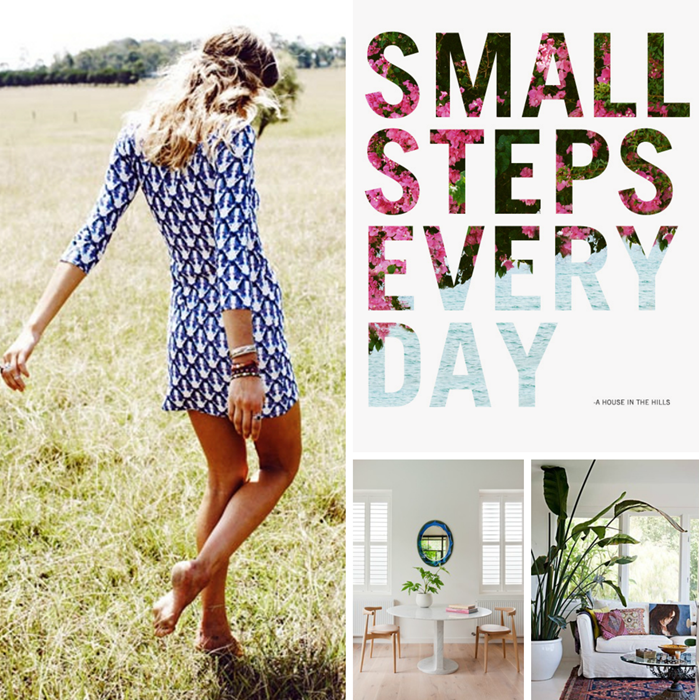 Small Steps Every Day is from a lovely blog I've started following recently, A House in the Hills by Wedding photographer Sarah Yates. 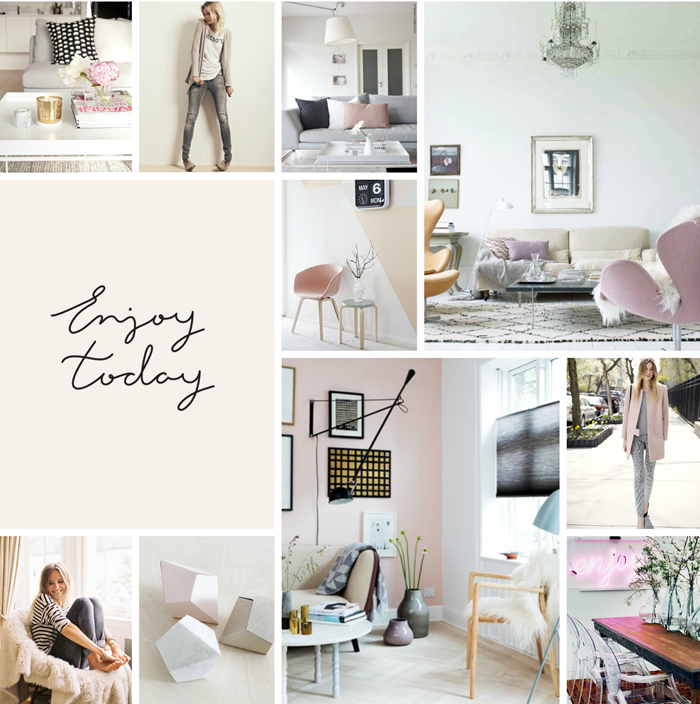 Lastly, some moodboard inspiration from Friday last week with the words Enjoy today and the gorgeous monochrome, pink and grey palette that I love so much. One more thing before I go... if you haven't yet done so, you still have time to enter the incredible Giveaway from Abode Living! The feedback so far has been wonderful, reinforcing just how fabulous the company and prize is, so don't miss out! You have until midnight tonight, NZ time (UTC+12). 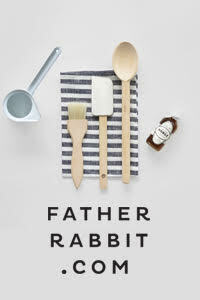 To enter and see details of the special reader offer valid until the end of the comp, pop over here.